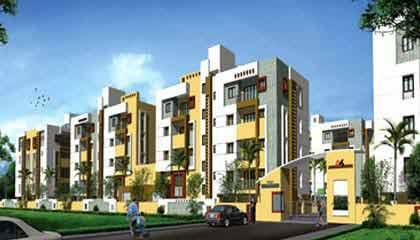 Akshaya Homes unveils their fully secured gated housing project Halton in Sundarapuram, Coimbatore. Halton comprises of ten residential blocks of G+4 floors with an option of 2 and 3 BHK with car park facility enclosed by beautiful landscaped garden with outdoor seaters. The project aims to become a vista of living excellence having all necessary standard and specifications. The projects offers state-of-the-art amenities like Gymnasium with equipments, Multipurpose Courts, Mini A V Theatre, Security Intercom etc.